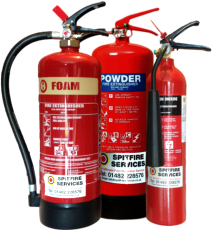 We can provide and install the necessary fire extinguishers for your business, along with all the fire protection equipment and fire training. With over 13 years of experience in the fire protection industry, we have extensive knowledge to help educate and train you with the latest fire regulations. Spitfire services can reduce the risk of fire at your premises with a tailor-made fire detection and alarm system. These systems are an essential part of any commercial building fire protection system. "Just thought I'd send a big thank you to Spitfire Services. Their professionalism is second to none and they always go the extra mile. Nothing is ever too much trouble. Always a pleasure to deal with!" "Routine services have been efficient and good advice has increased our security and saved us money. I recommend them without reservation." Spitfire Services, based in Hull, East Yorkshire has over 19 years experience in the fire protection industry, with the focus on providing fire protection services to clients throughout the UK. We use non-commissioned engineers accredited to ISO 9001 standards. 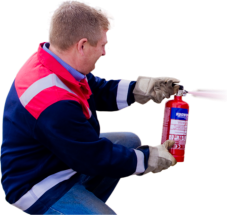 We can provide and install the necessary fire extinguishers for your business, along with all the fire protection equipment and fire training as required to meet with all the latest fire regulations. We'll help you easily identity the right type of fire extinguisher for your business and environment.